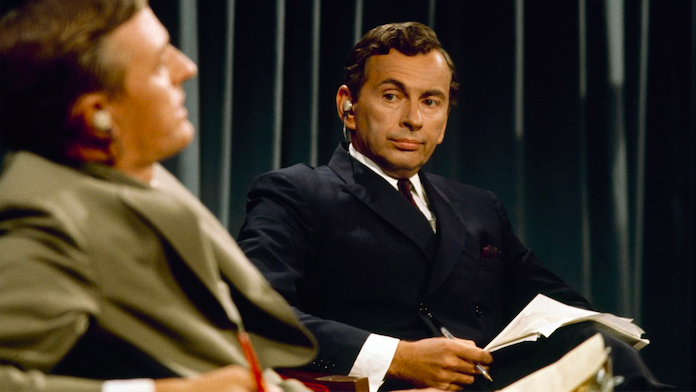 When you read the description of Best of Enemies, which had its world premiere this week in the U.S. Documentary competition at the 2015 Sundance Film Festival, "hilarious" is not the first word that springs to mind. 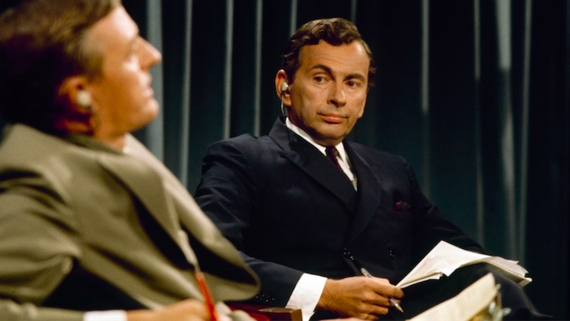 But indeed, the thrilling film, which chronicles the unprecedented televised debates during the 1968 presidential conventions between Gore Vidal and William F. Buckley, Jr. -- who disagreed about virtually everything -- is chock-full of one-liners and bon mots that would make any stand-up comedian green with envy. 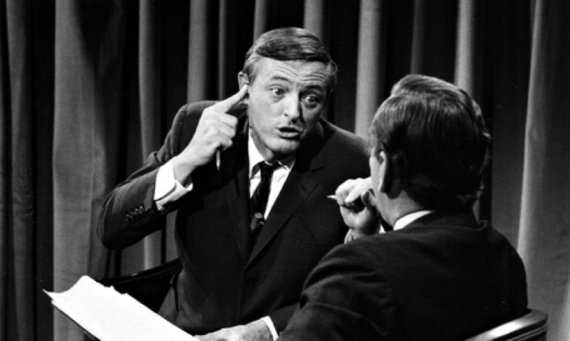 In the summer of 1968, ABC (at the bottom of the ratings pack) decided to take a gamble during the presidential conventions, replacing the expected gavel-to-gavel coverage with a nightly debate between two towering intellectuals from opposite sides of the political spectrum: Vidal on the left and Buckley on the right. The men, who happened to despise each other, were given very few guidelines; no topic was off-limits. Audiences tuned in, ratings soared, and the debates became more and more heated, eventually ramping up to an explosive climax during the Democratic Convention in Chicago. (To give away more would be to spoil, but suffice it to say, it's jaw-dropping, even by today's standards.) Both men would remember (and regret?) the moment for the rest of their lives. As we become more and more a people divided (Fox News enthusiasts, progressive diehards), choosing news outlets that preach to our particular choir, Best of Enemies is both prescient and revealing. 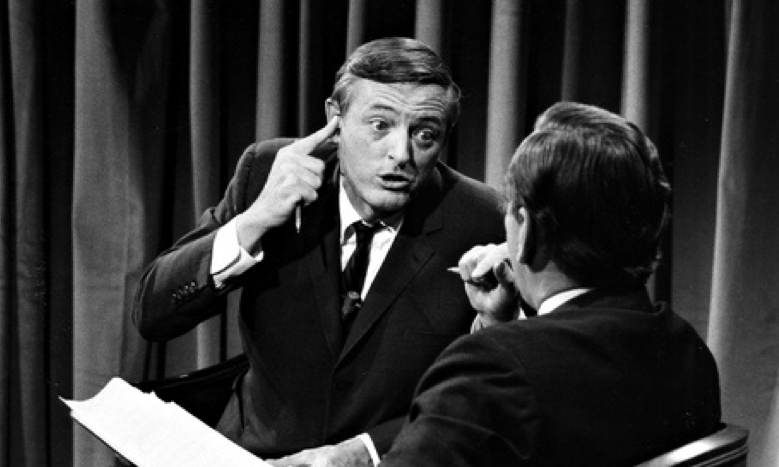 These debates were, in retrospect, the blueprint for every political news show that has followed, from Buckley's own Firing Line to The McLaughlin Group to Crossfire to every Sunday morning news panel, not to mention every random weekday show on cable news. (Unfortunately, the debates are not available, aside from the bootleg copies that inspired the directors to dig into ABC's archives. But with any luck, that will change.) It's a fascinating look at our collective history, and to the directors' credit, it's highly entertaining at the same time. Did we mention how funny it is? Directed by Morgan Neville (the Oscar®-winning director of Twenty Feet From Stardom) and Robert Gordon (Grammy® Award-winning writer and filmmaker), Best of Enemies has deservedly been one of the breakout hits at this year's festival in Park City. The film--just acquired by Magnolia and Participant--should be an art house hit during its planned theatrical release. We caught up with the two directors on Main Street to discuss the impetus for making the film, how incredibly relevant the Vidal/Buckley debates are today, and the whirlwind nature of a Sundance premiere.